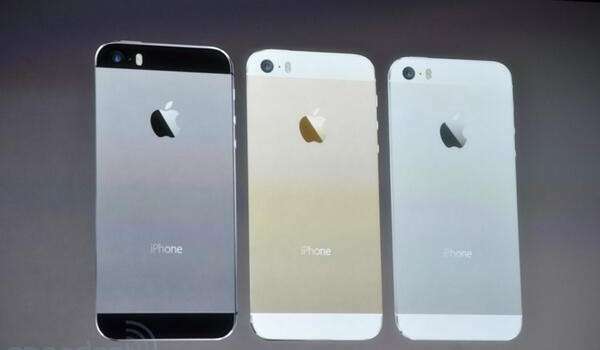 Apple is launching iPhone 5S & 5C today. 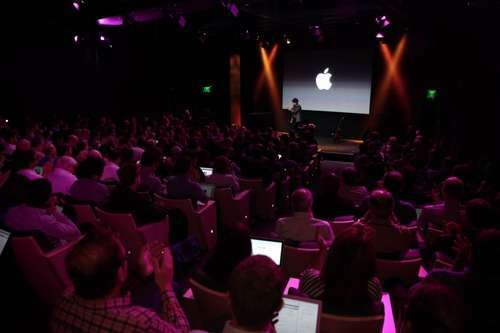 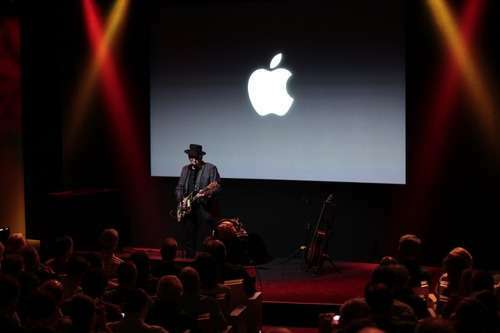 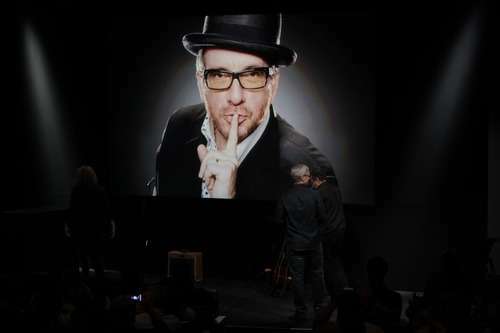 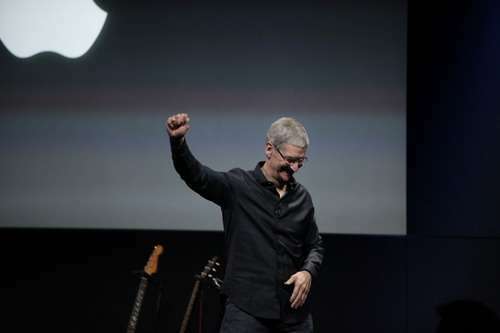 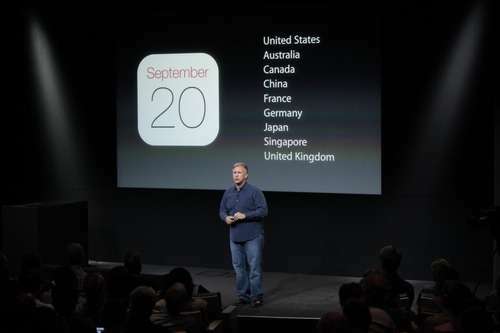 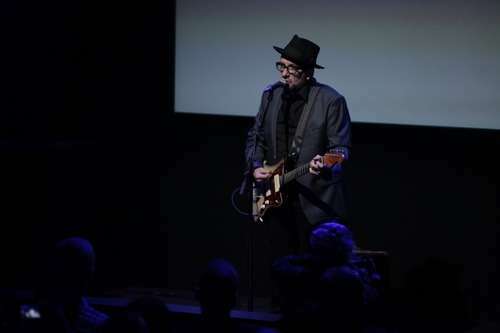 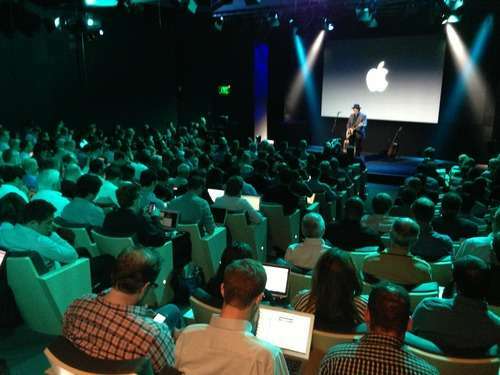 We thought it will great for all of you to have an Apple Event Live Stream Coverage. 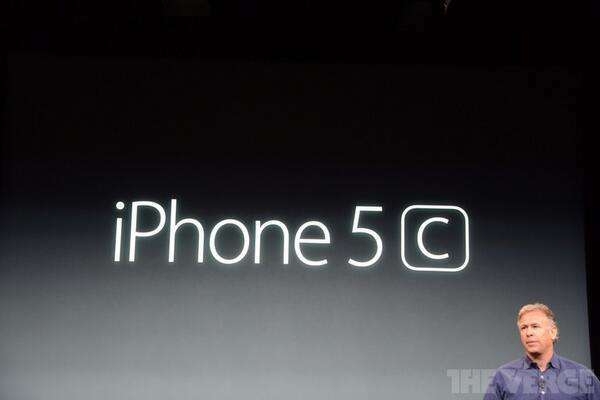 iPhone 5S camera: 2.2 aperture, 1.5 micro pixels on camera. 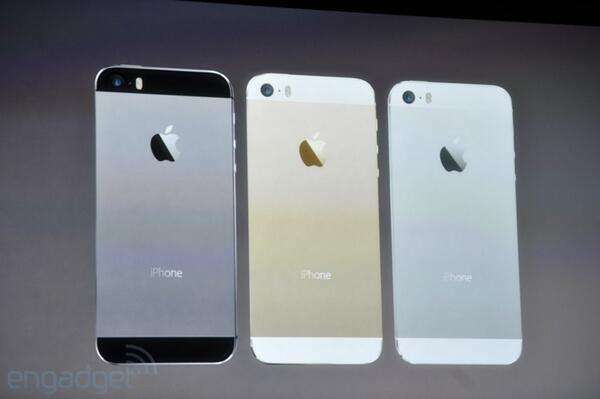 “Bigger pixels let in more light,” better pictures. 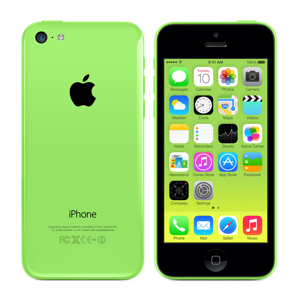 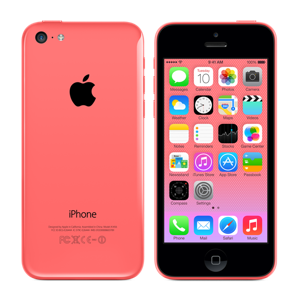 The iPhone 5C is the first of its kind, coming a variety of bright colors rather than just white and black. 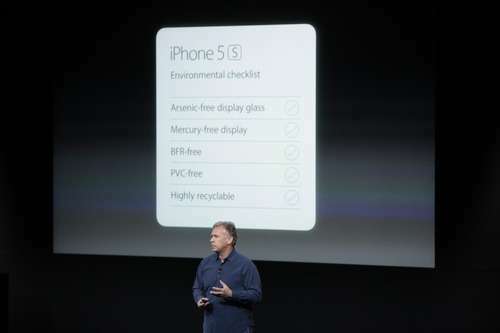 It’s casing is made of plastic, rather than the high-strength metal that protects its more expensive cousin, the iPhone 5S, which was also shown to the public in Cupertino. 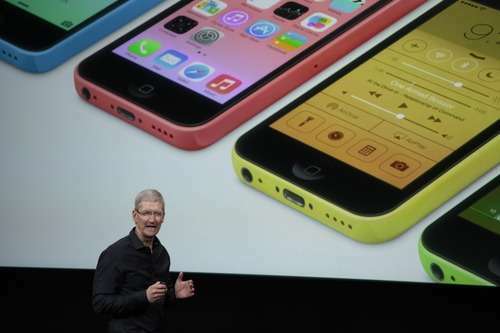 The 5C will be available in white, blue, green, rose and yellow. 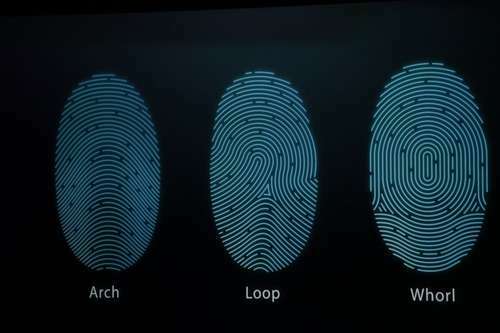 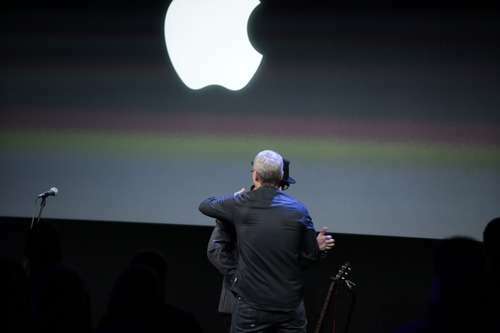 “The entire back and sides are made from a single part,” Phil Schiller, Apple’s senior vice president of worldwide marketing, said at Tuesday’s event. There are no seams, and the casing is made of polycarbonate reinforced with steel, and is described as “solid” and “dense” feeling. 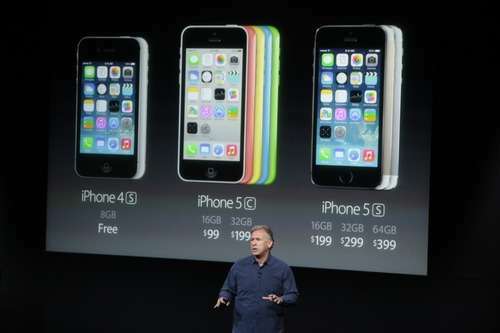 iPhone 5C prices: 16 GB $99 w/ contract, 32 GB $199 w/ contract. 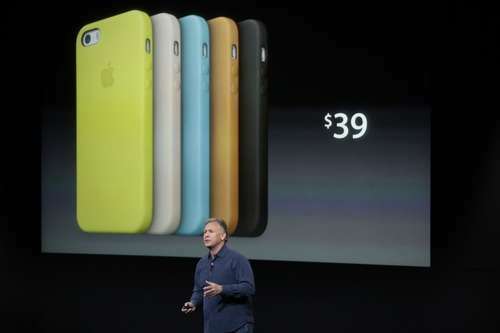 Six color cases $29 each. 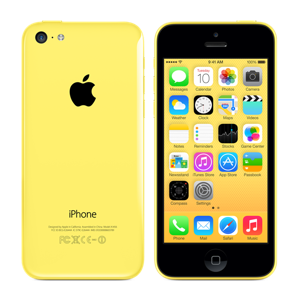 Pre-order iPhone 5c beginning September 13. 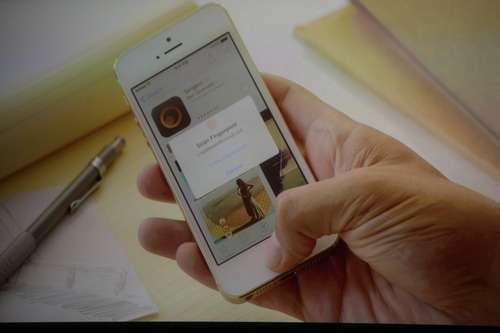 CPU performance 40 times faster than original iPhone. 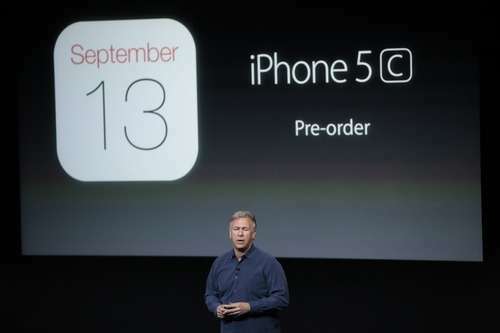 CPU and graphics 2x as fast as iPhone 5. The iPhone 5C is available for pre-order staring on Friday Sept. 13. 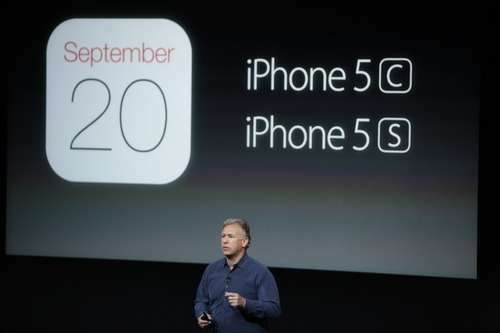 Both phones will go on sale starting Sept. 20. 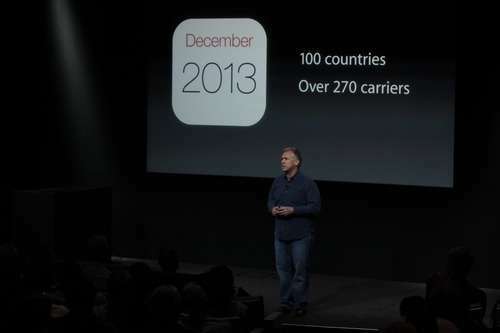 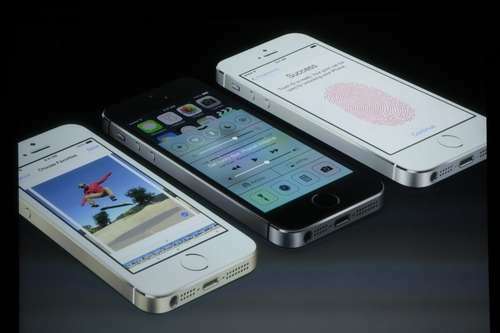 The iPhone 5S will be the same size as its predecessor, the iPhone 5, with a 4-inch screen. 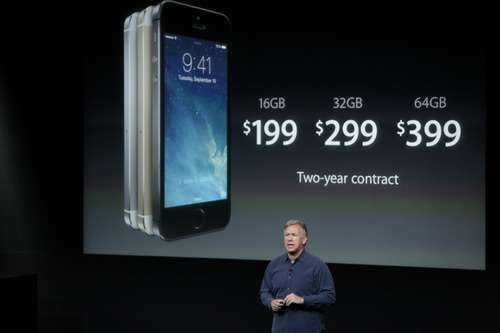 Big screens are all the rage these days, and Apple is rumored to be working on phones with larger screens, but physically, the iPhone 5S looks very similar to last year’s model. 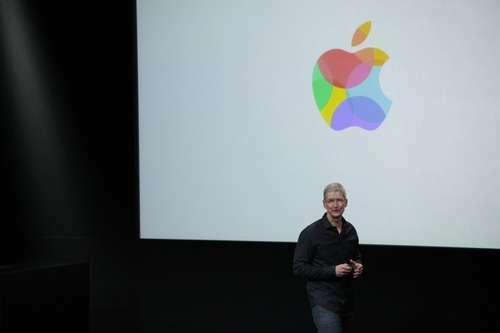 The phone includes Apple’s new A7 64-bit chip, and Apple describes the 5S as the “world’s first and only smartphone” with a 64-bit chip. 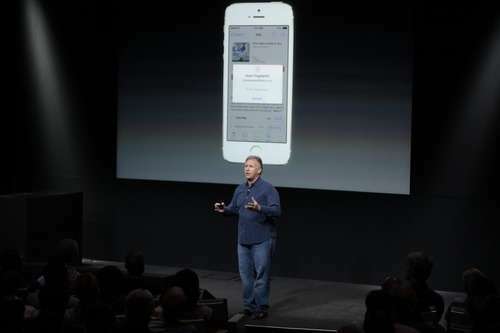 Phil Schiller, announcing the new phone, described the device’s CPU and graphics as twice as fast in speed as the iPhone 5. 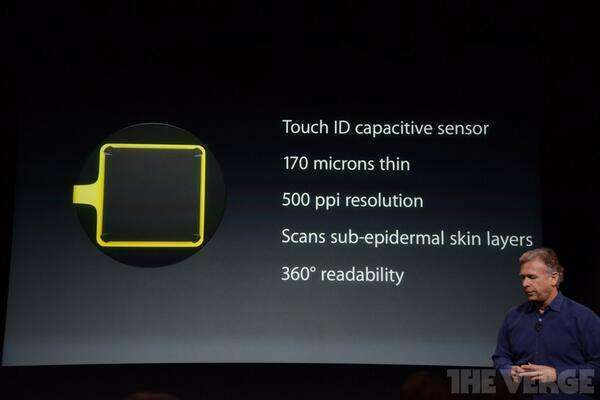 The chip also packs a series of other performance and graphics enhancements. 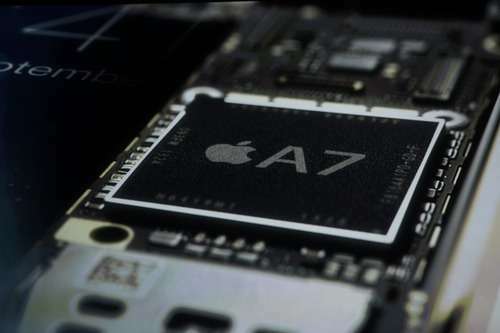 In addition to the A7, the phone includes the M7 motion coprocessor. 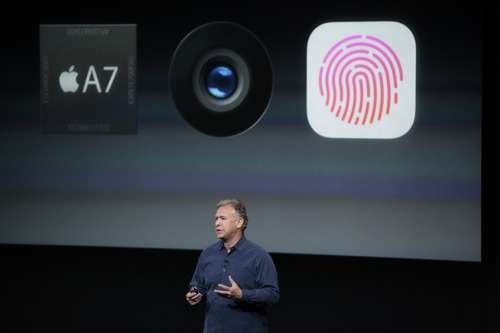 The M7 “continuously measures motion data,” and includes the phone’s accelerometer, gyroscope and compass.